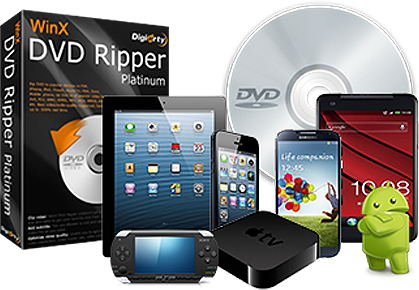 All-in-one DVD ripping & backup software with 350+ profiles to rip any DVDs to any video formats & mobile devices at No.1 fast speed. Constantly update to support latest DVDs & mobile devices. AVI, FLV, MP4, H.264, MOV, MPEG, WMV, M2TS, iTunes, iMovie, iDVD, etc. iPhone, iPad, iPod, Apple TV, Android, Samsung, Chromecast, Nexus, Surface, etc. Rip DVD to iPhone for playback anywhere and anytime. 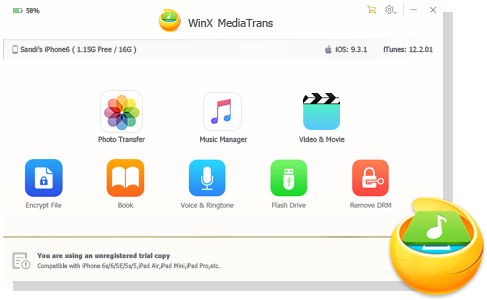 Convert & transfer any videos to all types of iPhone. MKV, M2TS, AVCHD, MOD, AVI, MPEG, MP4, WMV, MOV, VOB, FLV, RMVB, etc. Rip & convert DVD to iPad at fast sppeed and high quality. Convert almost all vidoes for Playback on iPad Air/Mini.